‘The Reading The Pictures Salon is an on-line, real-time discussion between photojournalists, visual academics and other visual or subject experts… .’ Read more, and register for the hangout (Sunday 10th January 2015 – 11am-1pm EST/4pm-6pm GMT), on the RTP’s salon website. 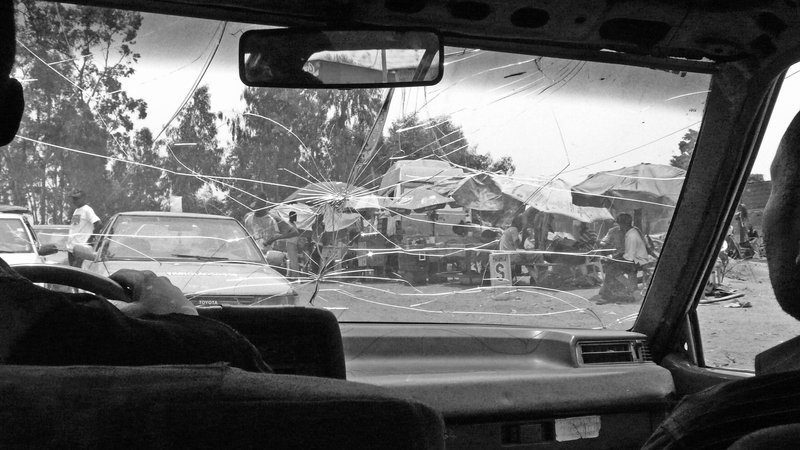 I have ridden in many, many, taxis in parts of Africa where cracked windscreens seem to be de rigueur. However, this one defied the realms of possibility. The screen – barely held together (it wasn’t even taped up!) – has to be the finest I have seen… yet, that is. To view more of Jason Florio’s images, for CU, in West Africa, please visit their website.